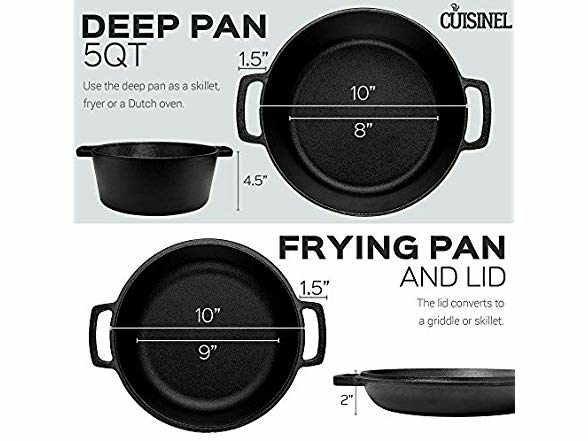 2-IN-1 VERSATILITY: Use the 5qt pan and 10 inch skillet separately, or use the frying pan as a lid to create a 5 quart double Dutch oven. 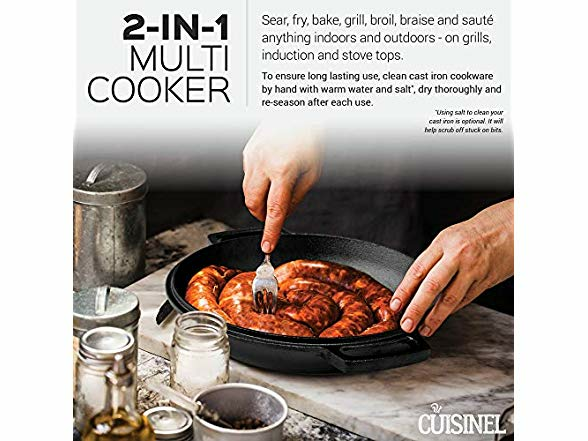 Sear, fry, bake, grill, broil, braise and sauté anything indoors and outdoors - on grills, induction and stove tops. 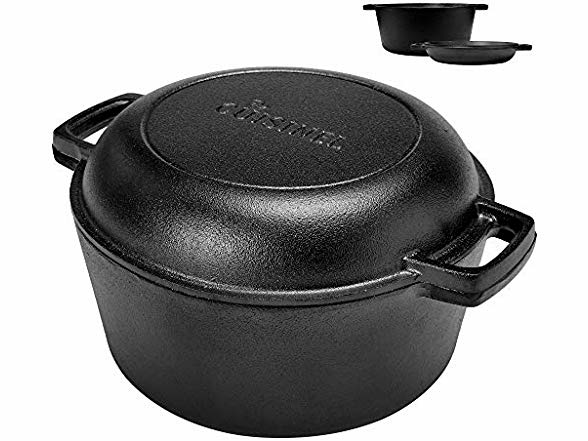 FACTORY SEASONED: Don't waste time and effort seasoning your pans and start working on your signature dishes right away with pre seasoned skillets. 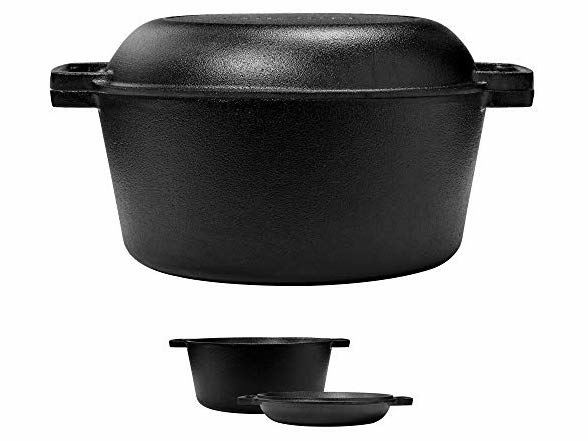 The nonstick surface makes cooking delicate foods like eggs effortless. 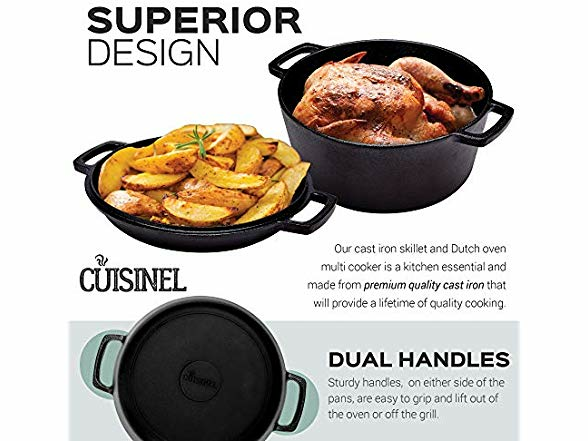 SUPERIOR CRAFTSMANSHIP: Our cast iron skillet and Dutch oven combo is a kitchen essential and made from premium quality cast iron that will provide a lifetime of quality cooking. 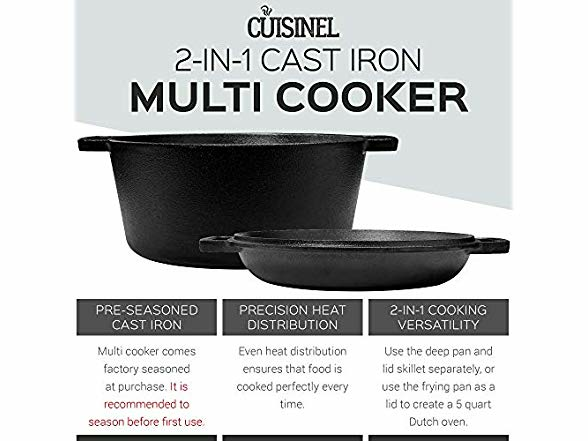 It balances oil effectively so it won't break or wear down. 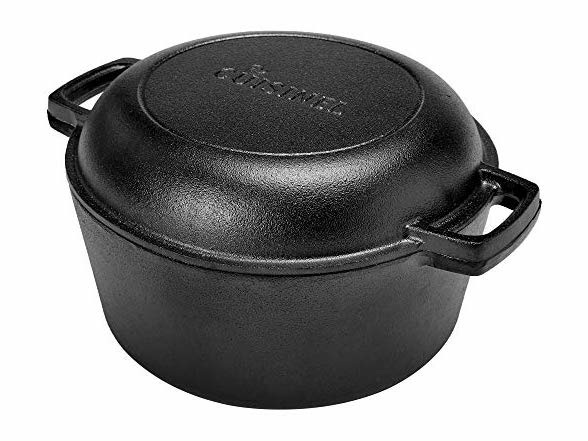 EASY TO CLEAN & MAINTAIN: To ensure long lasting use, clean cast iron cookware by hand with warm water and a stiff brush. Don't use soap or clean it in the dishwasher. After multiple washes you can easily restore it by using natural oils.